Please select an option White Black Wine red Please select a Color. 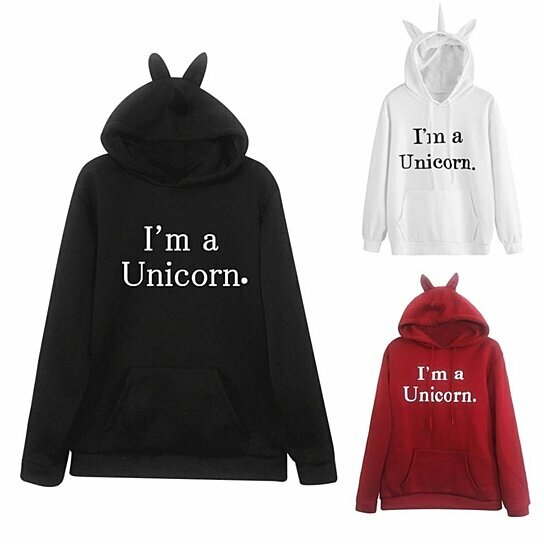 Show people unicorns do exist in our Cuddles Unicorn Hoodie. Our cozy hoodie is a deliciously soft sherpa fleece that gives you the look and feel of your favorite sweatshirt. A roomy, oversized fit, banded hems, and front pouch pocket.